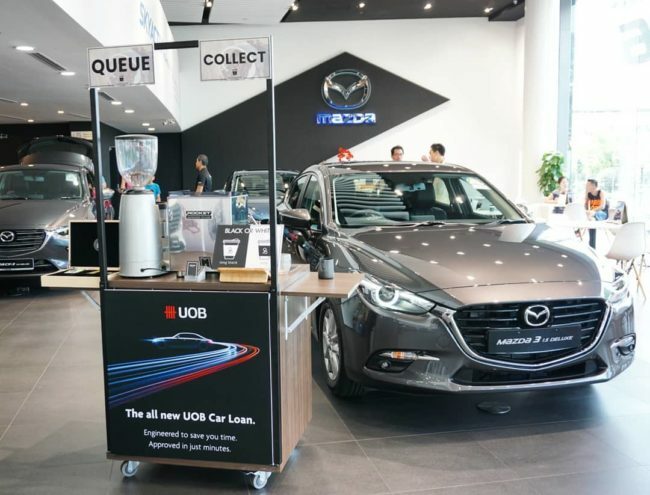 Our 2nd set-up at  Mazda Showroom @ Ubi! In collaboration with UOB to promote their new digital car loan! To enjoy the best coffee of your lives, contact us now at enquiries@nineteen95.sg for a quick quote!